This mountain hut with two separate, newly built apartments (AKA119-120) is comfortably furnished and is ideal to spend your holiday in the breath-taking altitude with a glorious and panoramic view. This mountain hut with two separate, newly built apartments (AKA119-120) is comfortably furnished and is ideal to spend your holiday in the breath-taking altitude with a glorious and panoramic view. There is a shared sauna. This home can be fully booked. The location is very quiet and there is access through the front door. A separate storage room for bicycles is available. This home is an ideal starting point for hiking in Nock Mountains and through pristine nature. Also enjoy a fun-filled day in the summer sledging tracks connected to the hiking trails. This beautiful modern apartment is made from wood and brick and was built in 1002. The agent has rated it as a four star property so it is a well-equipped apartment with above average furnishings. It is also great value for money. 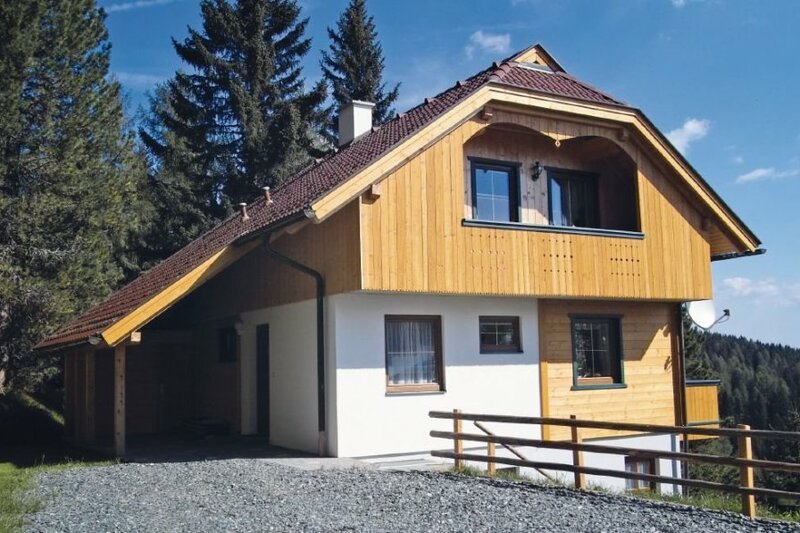 This apartment has panoramic view of mountains and is located in Großreichenau, 28km from Feldkirchen. It is set in a very convenient location, just 5 metres away from the skiing sport facility: there is a restaurant only 800 metres away. You can also park on-site at no extra charge. The apartment is well equipped: it has a refrigerator, microwave, washing machine and dishwasher. It also has some shared garden furniture outside.